Set foot for Miskatonic University, and battle it out with other Cthulhu occultists to find out who truly is the Great Old One among you. Monopoly: Cthulhu features fun Cthulhu and H.P. Lovecraftian style imagery, plus game tokens straight from the Cthulhu mythos! 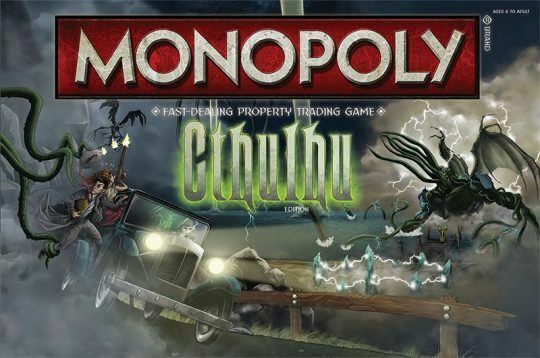 The winner of Monopoly: Cthulhu shall be deemed most like the Great Old One and the most fit to inherit his mantle. Whether you win or not, you lose and become one of Cthulhu’s mindless zombies. Hooray!